Do the kids who say "Savage AF" even know who Fred Savage is? 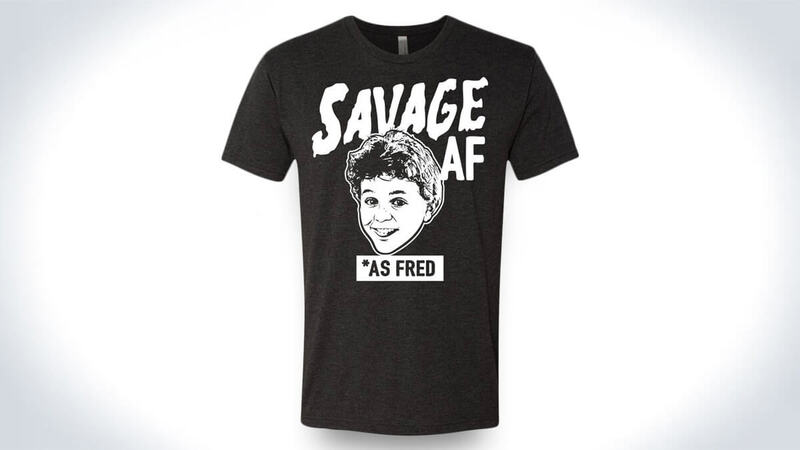 Better question: do the adults who know who Fred Savage is also know why it's funny to see little Kevin Arnold's face on a T-shirt that says, "Savage AF .... *as Fred?" It's a pretty Goldilocks group of not-too-young, not-too-old that Relish Brand's shirts will resonate with, but if those who get it feel like I do, join me in telling Relish Brand designer Derrick Baker his shirt is Savage AF. I wish I made it. Butthead. To anyone who thinks this T-shirt is just WTF AF, Fred Savage is an actor, and the child star of The Wonder Years, a late 80s / early 90s TV series that tracked the Arnold family through the 60s and 70s. Savage was also in some movies - The Princess Bride, Little Monsters - and did some TV show about being at work as an adult, but everyone will always remember him as the adorable little boy who fell in love with Winnie Cooper. The Relish Brand Savage AF T-shirts come in men's and women's styles (women's here) and sizes S through 4XL.